Gandhinagar: Three warriors. From three different political parties. Fighting a bitter battle for the Gandhinagar throne. Their pitch is different, but their ambition much the same. For each of these three men - Chief Minister Narendra Modi, Congress leader Shankersinh Vaghela and former CM and now head of the Gujarat Parivartan Party Keshubhai Patel - the 2012 Gujarat elections will decide which way their political careers head. All three have more in common than political ambition. They have the same ideological roots, each a creation of the Sangh legacy; all three men have cut their political teeth in Rashtriya Swayamsevak Sangh (RSS) shakhas or camps. In 1995, when the BJP formed government with a landslide victory and Keshubhai Patel became Chief Minister, the credit was given to three factors - Narendra Modi's strategy, Shankarsinh Vaghela's aggression and Keshubhai's mass appeal. Keshubhai Patel is the oldest at 82, an RSS veteran who joined the Sangh cadres in the 1950s. His rebellion against Narendra Modi, the man who uprooted him as CM over a decade ago, has made him distance himself politically from the BJP, but Keshubhai is still a Sangh man, he will have you know. So when BJP leader Navjot Singh Sidhu called him a "traitor", Mr Patel shot back, "I have been a Sangh worker for the last 65 years. In the Sangh we are taught nationalism and nothing else. Hang me if I am a traitor,'' he said. 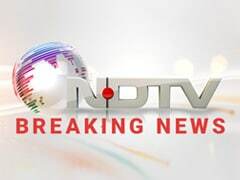 Sangh cadre which feels marginalized by Modi has been cut off with the Gujarat chief minister with even reports that in some parts of the state like Saurashtra its cadre subtly supporting the Patel candidates. Away from the Patel-centric Saurashtra politics that Keshubhai presides over, there is another battle-hardened politician who, sceptics say, is possibly the most power-hungry of the three. Former union minister and senior Congress leader, Shankersinh Vaghela, 72, has campaigned hard in north and central Gujarat in his effort to dislodge Modi. As the state voted in the second and final phase today, Mr Vaghela talked numbers, asking for the majority figure. "We are confident that we will get to the 112 figure. In both the first and second phase elections, we are sure that there is an anti-incumbency factor," said Vaghela after casting his vote. Two decades ago, Mr Vaghela's election plea would have been much the same, but for the BJP. He joined the RSS a decade after Keshubhai did and was one of the Sangh's top strategists at one point. But political aspirations were the stronger force. Mr Vaghela split from the BJP in the late 90s and launched his own party, the Rashtriya Janata Party, with the sole purpose of becoming Chief Minister. He did that too, for a brief spell. And after some politically turbulent years, finally joined the Congress. 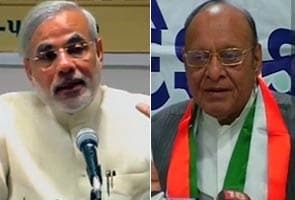 Known as an organization man, Mr Vaghela has the advantage of knowing the BJP very well. Analysts say the Congress would have done well to have had Mr Vaghela lead the party's campaign and declared him its candidate for Chief Minister. "He is a deep-rooted Sangh man. Knows the BJP in and out. Has a dedicated cadre which has stuck to him. He could have effectively used the cadre if the Congress had have openly declared him a CM candidate,'' says political analyst Dinesh Shukla. Keshubhai Patel and Shankersinh Vaghela were for years the most bitter rivals. Far before Narendra Modi was a factor, they were playing musical chairs with the Gandhinagar throne that they are eyeing now. Today, they have a common enemy, a common mission and a common target - Narendra Damodardas Modi, who joined the Sangh years after them, only in the 1970s. But that has not proved to be a disadvantage. The 62-year-old Mr Modi, who is widely called a canny political strategist, has carefully constructed both his career and image to become the BJP's unchallenged leader in Gujarat. He got a chance a little over a decade ago when Mr Patel was asked by the party leadership to step down and Mr Modi was flown in to take over from New Delhi. He grabbed at the opportunity and never looked back. He faces both veterans in a three-cornered contest this time. A third successive victory for him would arguably end their political careers even as it is expected to propel him to the national stage. But, if he does not win, it will be sweet revenge for his one-time associates. The RSS has ring-side seats to this contest.